Special washing agent for high quality sports- and functional wear. 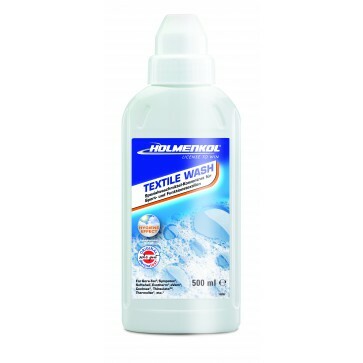 – Suitable for all membrane textiles, e.g. GORE-TEX®. – Suitable for all synthetic fillings, e.g. Thinsulate, Thermolite, PrimaLoft. – Cares for elastic fabrics including Soft Shell, Fleece. – Cleans breathable sportswear smoothly and hygienically. – Optimizes acclimatization thanks to «active dry» additive. – No bleaching agents, brighteners or fillers. – Hygiene effect to avoid the formation of unpleasant smells.